Join us for an introduction to the game of basketball in a safe, fun and exciting environment! Using age appropriate activities and games, along with a lower basket, campers will be introduced to the basics of basketball. Development of early skills such as proper ball handling, passing, shooting and defense will be combined with the basic knowledge of the rules of the game and principles of teamwork and sportsmanship. All instruction is game/drill oriented with mini games and scrimmages played each day. This program combines the best practices from around the world with an interactive digital coaching component that will accelerate the player’s learning experience both on the field and at home. 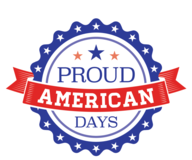 Join the fun and excitement this summer! Each camper will receive a Challenger International soccer ball and an International Soccer Camp T-shirt. To register, please visit challengersports.com. Enrollment is limited so please register as soon as possible. Host-a-Coach: For an international “kick” this summer, host a Challenger coach for the week and get a taste of England. Host families will receive a voucher for a mail-in rebate. For more information, email dwiltcher@challengersports.com or call (630) 318-1325. 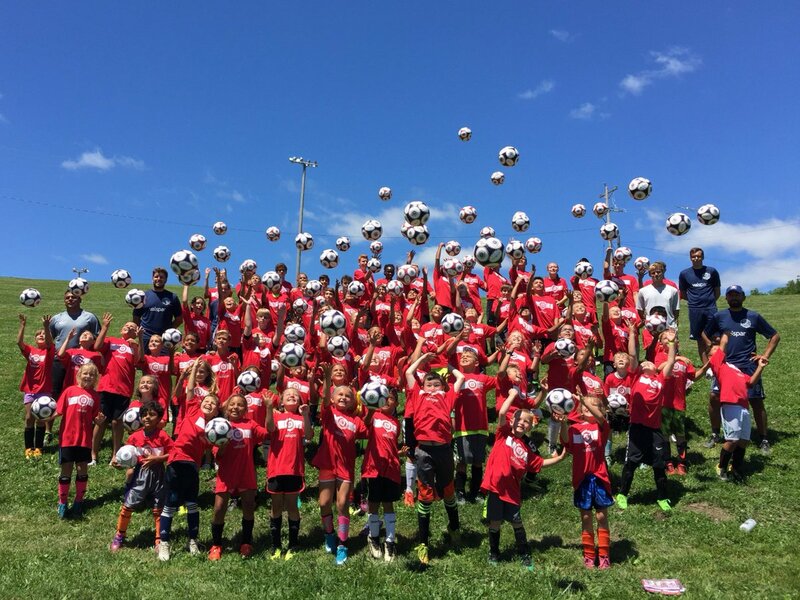 Kick off your summer by signing up for a Chicago Fire Soccer Camp which was listed as one of the top 12 “Totally Cool Summer Camps” in Chicago Parent Magazine! Play, learn and train with our passionate, highly qualified Chicago Fire coaches who will help your child develop soccer skills in a week of soccer-filled fun. Programs are suitable for all ability levels. Space is limited! All players registered will receive an SITC Dri-Fit jersey, individual player evaluation and a ticket to a Chicago Fire game at Toyota Park! Campers should bring their own ball, shin guards and water bottle each day. To register, please visit chicago-fire.com. For questions, please call (708) 496-6772 or email mharris@chicago-fire.com. Introduce your child to the fundamentals of soccer with mom and dad. 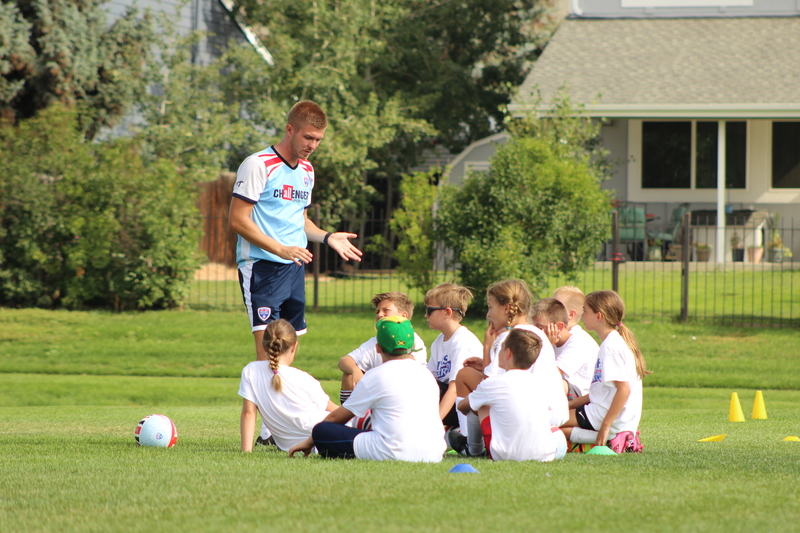 Five Star Soccer Camps are proud to offer a fresh, enthusiastic approach to teaching youth soccer. We pride ourselves on delivering a curriculum that presents the most current and advanced information on the development of the youth soccer player. The quality of our staff is among the best around, working hard to build on fundamental techniques, while creating an atmosphere that unlocks the game within each child. The curriculum of instruction is designed by Michael Wiggins, who is a 2-time IHSA Soccer Coach of the Year and Head Coach of the 2014 IHSA Soccer State Champions. This camp combines sports, games, events and contests while learning safe fundamentals. Coaches plan a variety of sports and games ranging from competitive to non-competitive and leisure. 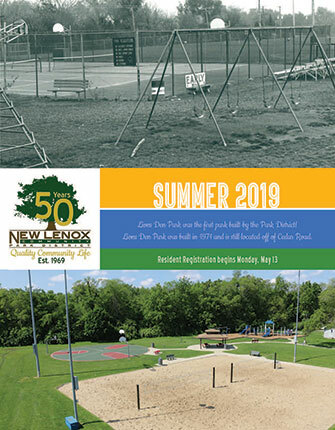 Activities include basketball, baseball, softball, soccer, dodge ball, badminton, flag football, volleyball, track and field events, kickball, water balloon toss and more. Children should bring a water bottle, lunch, snack and beverage daily. Camp will consist of body balance techniques, speed, quickness and agility drills. Fundamentals taught in camp will build the foundation for a quicker, safer and more powerful performer. A wide variety of timed events will take place daily concluding with an event championship series on the final day. Participants will be split into age groups. Coaches will focus on teaching sprints, hurdles, jumps and running in a safe and fundamental way. This camp consists of body balance techniques such as speed, quickness and agility drills, producing a quicker, safer, more powerful performer. A series of individual and team relay races make speed training fun and entertaining. Camp will conclude with a speed championship series. Flag Football 7-on-7 games are played throughout this camp. Coaches will teach passing and catching fundamentals including receiver end zone techniques with a focus on player separation, making it easier to score touchdowns. Camp will also include techniques on speed and quickness, body balance, first step directional movements, football safety awareness and sportsmanship. Participants will be split into age groups. Mini-Hawk Camp is a multi-sport camp that was developed to give children a positive first step into athletics. The essentials of baseball, basketball and soccer are taught in a safe, structured environment with positive reinforcement. All participants will receive a T-shirt, ball and merit award. Please bring a mitt to class. Flag Football Camp is recommended for beginning to intermediate athletes. Through the Skyhawks “skill of the day” activities, campers will learn skills on both sides of the ball including the core components of passing, catching, de-flagging and defensive positioning. Camp ends with the Skyhawks Super Bowl, giving participants a chance to showcase their skills on the gridiron. All participants receive a T-shirt and football. Skyhawks combines technical development and fundamental techniques with safety while keeping a major focus on fun! Using special equipment, Skyhawks staff teaches the standard track and field events of long distance, sprints, soft hurdles, relays, shot put, discus and standing long-jump. Fundamentals of body positioning, stride, proper stretching and cool down techniques are also covered in this unique program. At the end of the week, participants will put it all together for a track meet. Skyhawks staff use their developed curriculum to teach the fundamentals of fielding, catching, throwing, hitting and base running, all in a fun, positive environment. Specifically designed for beginning and intermediate players, this camp teaches all athletes new baseball skills along with vital life lessons such as respect, teamwork and responsibility. All participants will receive a T-shirt. Participants should wear appropriate clothing, bring two snacks, a water bottle, running shoes, a baseball glove and sunscreen. This camp is designed to be skill intensive with the beginner to intermediate player in mind. With the Skyhawks curriculum the staff focuses on the whole player, teaching your child the skills needed both on and off the court to become a better athlete. Sign up for just one week or for both weeks for a discount! All participants receive a T-shirt and basketball. Players will be introduced to tennis by various drills that will develop coordination, agility and athleticism. They will be instructed on the proper grips, various stroke techniques (forehand, backhand, overhead, volley and serve) along with the areas of the court and scoring methods. Middle and high school participants will work at sharpening their skills and learn to use different strokes in matches. Loaner racquets will be available; players should bring their own water bottle. Tennis balls will be supplied for the class. 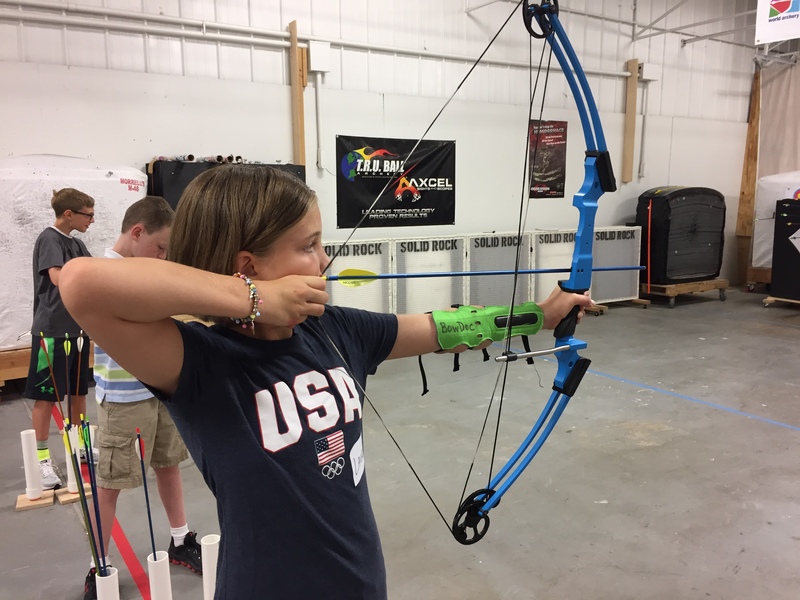 Is your young archer interested in becoming the next Robin Hood or Katniss? If so, this is the camp for them! Students will learn safety, proper technique and form and shooting etiquette. There will be a lot of shooting games and fun with a constant emphasis on safety and respect. Camp will conclude with a tournament to crown new champion archers. Staff at BowDoc Archery are USA Archery certified coaches. All levels of shooters are welcome from beginner to experienced archers. BowDoc Archery will supply all of the equipment necessary for camp. For additional information, please contact Coach Brown at mbrown@lw210.org. Fundamentals are taught to beginners, while advanced techniques and strategies are taught to experienced players. This camp will be instructed by Lincoln-Way Central coaching staff and players. Registration deadline is Friday, June 28 (this date guarantees T-shirt size). Individual skills are taught and practiced; team drills, strategies, offensive and defensive systems taught and applied. This camp will be instructed by Lincoln-Way Central coaching staff.